To find a good facial cleanser for your skin might be a little bit tricky as you need to know your skin condition and type. Not only that, you must also know the ingredients in it so you know the benefits of the cleanser and how it will help you to achieve a good skin condition. Best to find cleanser that can “do it all” where it can deeply clean your skin and keep your skin fresh and smooth. Recently, I discover Hansaegee Nature Aloe AC Clean Bubble Cleanser, a facial cleanser that made from natural ingredients. *YEAYYY! This is how the cleanser looks like. It comes in a full white packaging with transparent cover. Hansaegee Nature Aloe AC Clean Bubble Cleanser claims to recover pimple & acne problem and it is clean pore deeply while keep the skin soothing. It also helps to removes excess sebum and oil on the skin. Seems promising right! The description, ingredients and instruction are well written on the box. This cleanser is suitable for all skin type either you are neither dry, oily nor combination skin type. The main ingredients in this cleanser are Aloe Barbadensis Leaf & Tea Tree Leaf Oil. Both are good for skin health. Closer look at the pump. This is the uniqueness of this cleanser, the pump where it helps to form a bubble type cleanser. This is what I mean; it is sooo bubbly thanks to the pump type. This will helps to effectively removes dirt, dead skin cells, and makeup from your skin and keeps skin look clear & brighter. Thanks to the rich bubble foam it will prevents your skin from drying out after cleansing yet it make your skin feel moist and fresh. NICEEE! This cleanser can be used to keep the skin feeling soft and smooth. Spend time to gently massage into the skin with circular motion around 30-60 seconds then rinse it. Use it on a daily basis to wash and thoroughly clean your skin. Wash your face once in the morning and once at night and also after sweating. I’m pretty particular on choosing my cleanser as I have acne-prone skin, oily-combination and sensitive skin type. 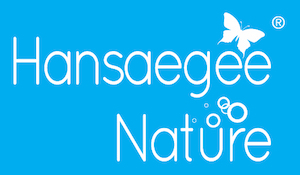 I’m glad that Hansaegee Nature Aloe AC Clean Bubble Cleanser works wonder on my skin. It keeps my skin clean and fresh at the same time. I also notice that even after wash, my skin doesn’t feel dry-out which is GOOD! Thanks to the great ingredient I guess. I’m truly happy using this cleanser and in-term of acne part, I notice that it slow down the growth process of my acne. Another thing, I also notice that my skin become smoother. I love the scent of this cleanser where it fresh and calming at the same time. This cleanser can be used as part of a skin care routine together with a good toner and moisturizer. I used this cleanser during day and night time. Overall, I really like this cleanser; it is rich & moist at the same time. The Tea tree oil give protection to the skin and leaving it smooth, moist & refreshed. If you’re looking for a good cleanser, you may want to try Hansaegee Nature Aloe AC Clean Bubble Cleanser. I’m excited to see the result after a long term use; hopefully it can help in my acne recovery process.